Have your say on local NHS Services? Welcome to August's edition of the Carers Bulletin. Over the past month, support for carers has increasingly been in the spotlight, with the recent publication of the Government's Carers Action Plan. In July 2018, Carers UK held their annual State of Caring Conference, an event geared towards increasing the campaign to improve services and support for carers. Their annual report highlighted the impact caring for someone can have on your overall health and wellbeing with 72% of carers in the UK saying they had suffered mental ill health as a result of caring and 61% of carers in the UK said they had suffered physical ill health as a result of caring. Read the report. In July BBC Radio 4 hosted a Money Box call in session for Carers, the radio show explores the financial impact caring can have and offers advice and guidance around Carers Allowance, Universal & Pension Credit and Council Tax Reduction. The show also explores the importance of carers assessments and your employment rights as a carer. Carers UK are asking for feedback from carers, professionals and others interested about the benefits paid to carers, as part of their campaign to increase the level of Carers Allowance in England and Wales. Carer's Allowance is money for carers who spend at least 35 hours a week providing regular care to someone who has a disability. The person you care for must be getting a relevant benefit because of their disability, which in some cases has to be paid at a certain rate. Carer's Allowance is paid at £64.60 a week. We know that many carers have had to make massive financial changes to take on a caring role, sometimes reducing or ending their employment and caring itself can be expensive. To contribute to their campaign, visit the website. Coventry Libraries want to make sure carers know about the free e-Books and e-Audiobooks available through Library services, meaning you can access books from the comfort of your own home, without having to leave the house. 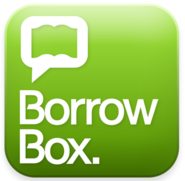 Members of Coventry Libraries can download up to 8 e-Books and 8 e-Audiobooks at one time for free from the BorrowBox Library. 1) A valid Library card from any Coventry Library accompanied by a 4 digit pin. Don’t worry it’s also free to sign up for a Library card. 2) Download the free BorrowBox app which is available on the App store and Google play store, onto your smartphone, tablet or even apple watch! Log in by selecting Coventry Libraries and input your Library card and pin number. Obviously we all love a good book, but there are many advantages to downloading e-Books & e-Audiobooks. No late fees – the e-Book or e-Audiobook simply deletes its self from your device. You can access thousands of titles without leaving your house, ideal if you struggle to leave the house. Need Help using a tablet or downloading the BorrowBox app? Coventry and Rugby Clinical Commissioning Group (CCG) want to know about more about the services that are important to you, what you think works well, what could be done better and what gaps you think there are. The CCG are responsible for planning, organising and buying health services. This includes most hospital and community NHS-funded services and more recently primary care services. It doesn’t take very long to complete, but your feedback will help the NHS plan services which will improve health and wellbeing for you, your family and your community. Want to be more involved in local health and care? Become a Patient Voice Champion! For more information or to sign up follow the link Patient Voice Champion or contact the Communications Team on contactus@coventryrugbyccg.nhs.uk. Saturday 15 September - Samaritans "We Listen" event will be held at Broadgate Square between 10am - 4pm. The event aims to promote the power of listening, to help others and will be attended by a number of agencies across Coventry. You can just turn up to this event. Friday 28 September & Friday 12 October - To celebrate World Alzheimer's Day on 21 September, a Dementia Champion Volunteer will be hosting two "Dementia Friends" sessions open to the public. Sessions will be held at the Council House and St. Mary's Guildhall. To book a place email ohc@coventry.gov.uk or call 024 7683 4158/159.